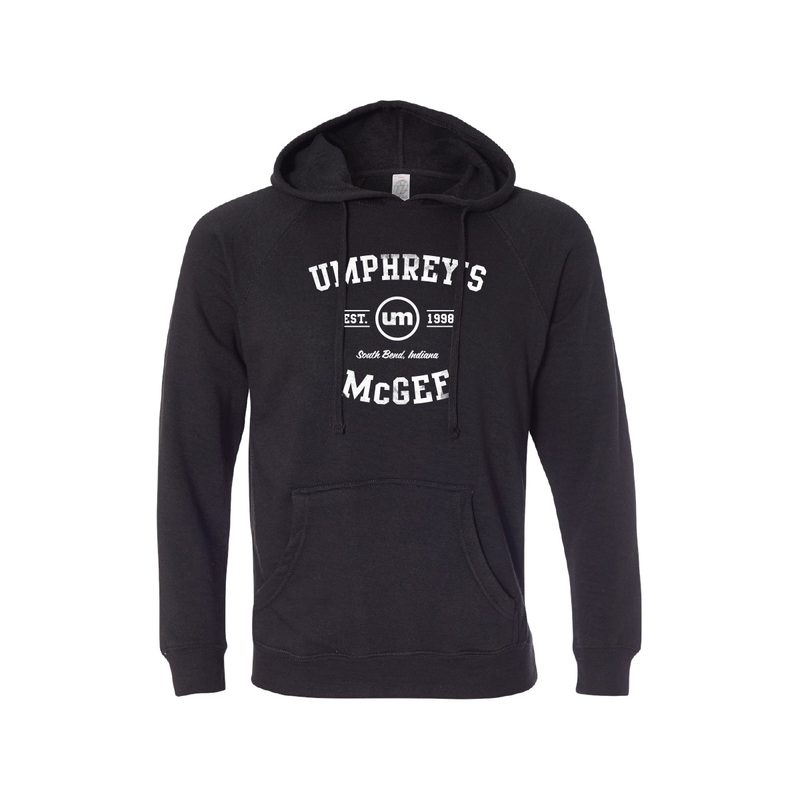 We’re pleased to bring you the Unisex Tri-blend Pullover, a must-have UM hoodie for maximum comfort. This pullover hoodie features the new UM Collegiate Logo on Independent Trading Company’s “Special Blend” fabric, a unique 8-ounce 52% cotton/48% polyester construction. This pullover is available in black or green, both with white lettering. To fully appreciate this style, you must touch and feel it because words and pictures cannot come close to describing the unmatched softness. One touch and you will never want to take it off. The slim, unisex fit, includes 1 x 1 ribbing at neck, cuffs and waistband, sewn eyelets, and reverse coverstitch sewing. 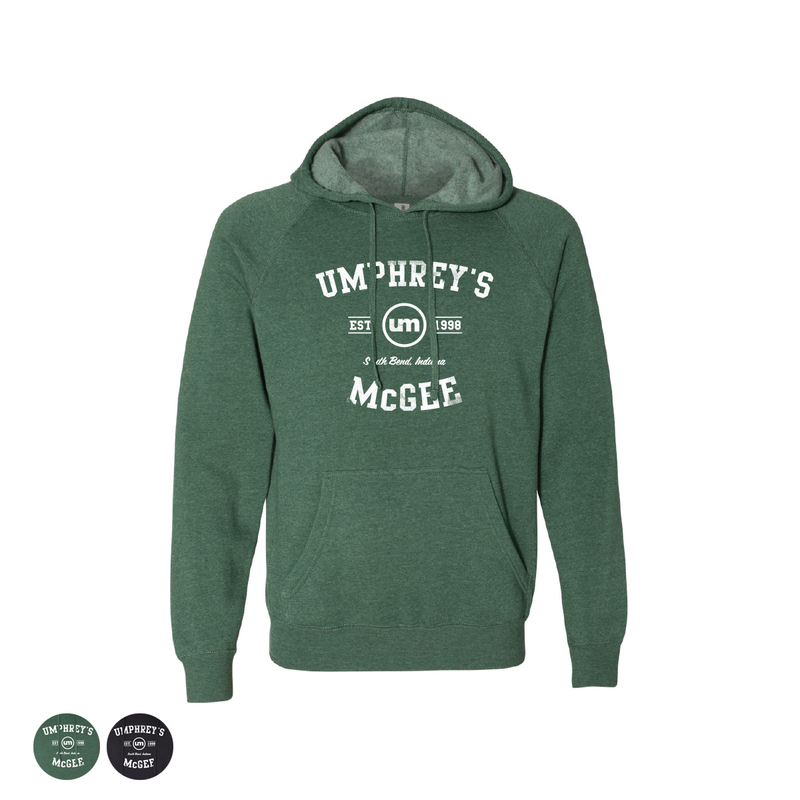 Perfect for lounging and listening to your favorite UM tunes, watching couch tour or resting up for your next UM show, our Unisex Tri-blend Pullover is great for gifting, AND keeping. 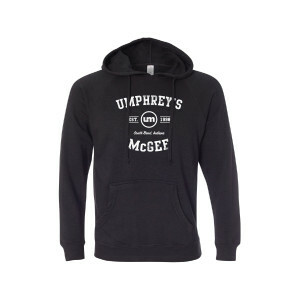 Sizing Note: This product comes in a “slim unisex fit.” Size up if you are between sizes or prefer a roomier fit. Wore this to the first night in Milwaukee and got complimented on it more than once. 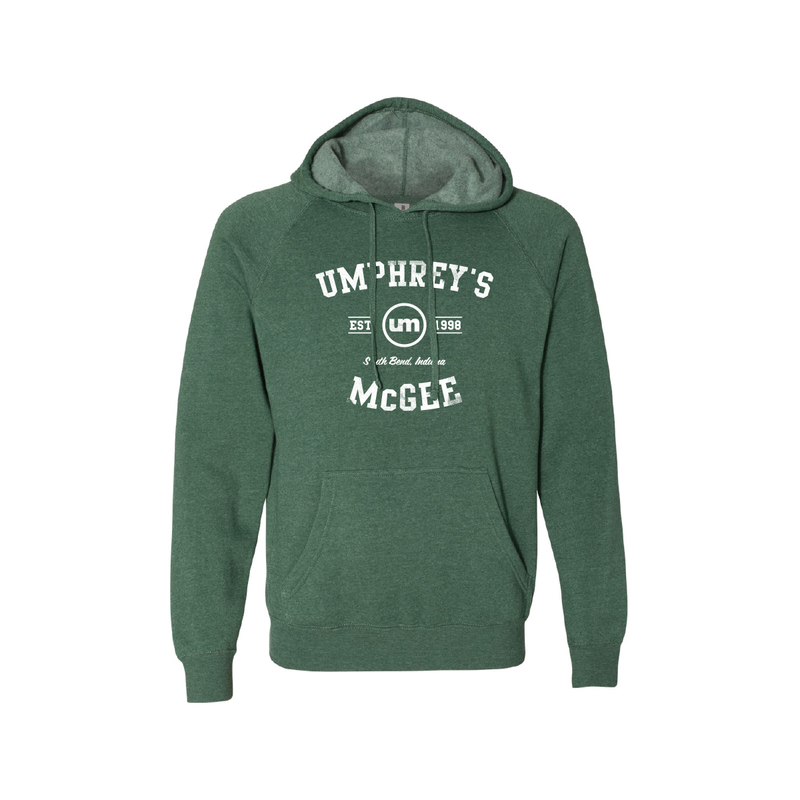 Super soft and comfy warm perfect mossy green hoodie! Should’ve gotten one for my boyfriend too since mine is already in his closet. Stayed true to shape and size after washing and drying. I love it! !